Our closest living relatives, the chimpanzees, are familiar enough—bright and ornery and promiscuous. But they also kill and eat their kin, in this case the red colobus monkey, which may say something about primate—even hominid—evolution. This book, the first long-term field study of a predator–prey relationship involving two wild primate species, documents a six-year investigation into how the risk of predation molds primate society. Taking us to Gombe National Park in Tanzania, a place made famous by Jane Goodall’s studies, the book offers a close look at how predation by wild chimpanzees—observable in the park as nowhere else—has influenced the behavior, ecology, and demography of a population of red colobus monkeys. As he explores the effects of chimpanzees’ hunting, Craig Stanford also asks why these creatures prey on the red colobus. Because chimpanzees are often used as models of how early humans may have lived, Stanford’s findings offer insight into the possible role of early hominids as predators, a little understood aspect of human evolution. 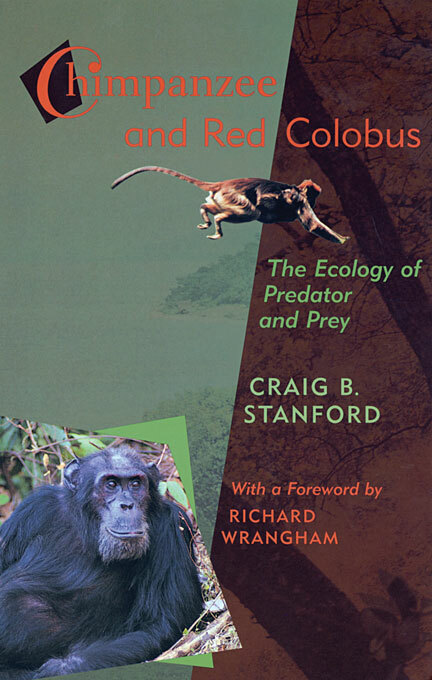 The first book-length study in a newly emerging genre of primate field study, Chimpanzee and Red Colobus expands our understanding of not just these two primate societies, but also the evolutionary ecology of predators and prey in general.